On Saturday, I stacked my shelves, reviewed Number the Stars, and informed you about Marissa Meyer events. I’m still getting through my pile of books! On Sunday, I reviewed Where She Went and talked about book reviews. 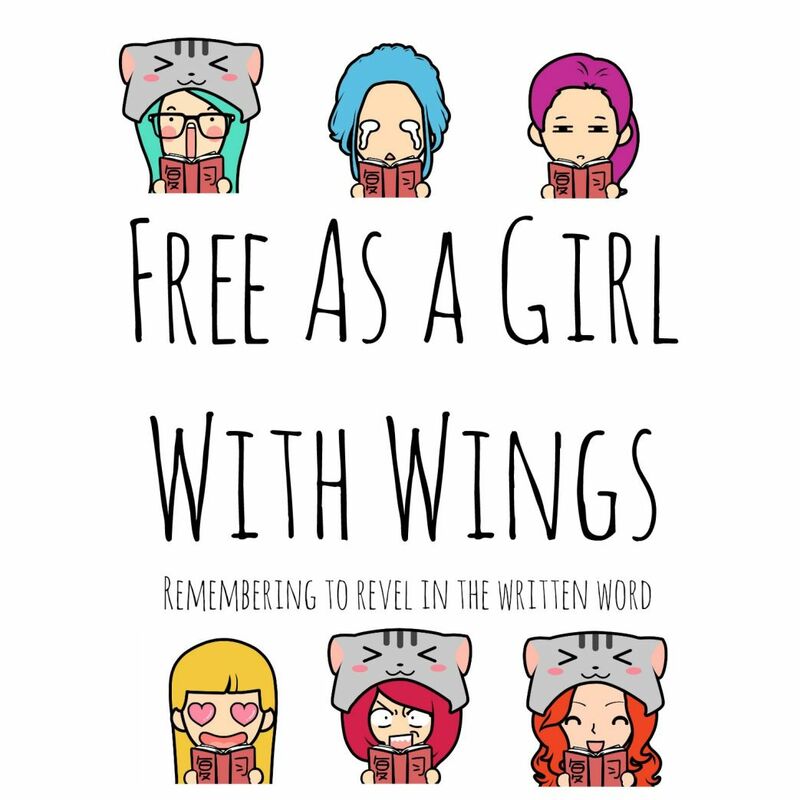 On Monday, I posted a school assignment for feedback and reviewed Eleanor and Park [a.k.a. how I suffered emotional trauma at the hands of a hardback]. On Thursday, I informed you about the 100 Words For 100 Days Challenge. Are you going to participate? Going back to the beginning of the week, Engie @ Musings From Neville’s Navel posted about Rick Riordan’s last book in the Greco-Roman world. It was an interesting but sad post. It means the end of Percy and Annabeth and Leo! Ah, Uncle Rick. While your wit impresses us, it does not excuse the no epilogue issue. I adore epilogues! I want confirmation about what happens to them. To wrap up this week, why not a poll? Have a fantabulous weekend! I will be shopping for party supplies for my sister’s birthday, reading The Book Thief, and watching the Broadway play version Wicked. Which I am SO EXCITED ABOUT. I recently visited the blog Teens Can Write, Too, and was enlightened. [Before I continue, may I note that I find very small things spectacular sometimes, and this may be one of those cases. Nevertheless, this is still a very cool blog.] John, the blogger, posts about querying, agents, different types of publishing–and that’s only what I’ve looked at. If you don’t already know about this blog, click the link above and you will be magically transported to John’s blog… And, may I add, John is a male blogger and writer. I do not come across many of those (at least teens). Now that I’m being completely random, this calls for a…cat gif! OMG, this cat has a superpower! Of chillaxing, any time it wants. 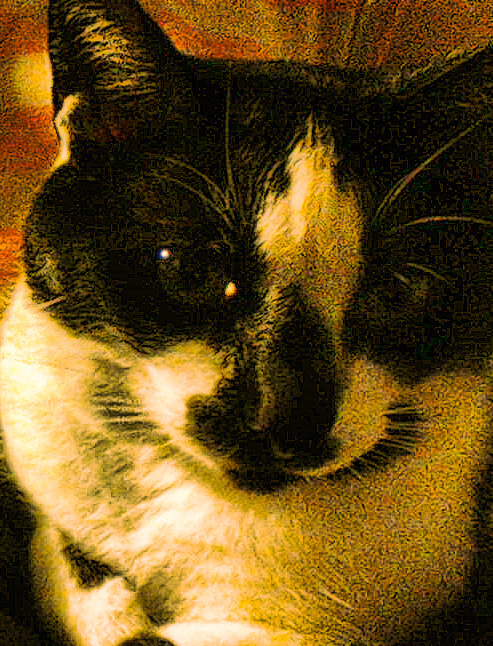 Speaking of cats, I changed my Camp NaNo profile picture to an edited and dramatized photo of my cat. Top Ten…Wednesday? PLUS: Tear-Jerker Movie Review! NOTE: This excludes J. K. Rowling and Rick Riordan, who are my default favorite authors. Also, the list is arranged so that number one is my absolute favorite. That was TTT. Or TTW, I guess. Hehe. I SAW THE FAULT IN OUR STARS LAST NIGHT!!! It. Was. So. Good. I cried a bit… Anyway, the real review. Synopsis: Hazel is a teen with cancer. Her mother forces her to go to Support Group, where she meets Augustus Waters. They form a relationship made on An Imperial Affliction, Hazel’s favorite book, late-night phone calls, and Gus’s love. They have adventures, from a Dutch picnic to Amsterdam to meet Peter Van Houten, who wrote An Imperial Affliction. Then a sudden change in Augustus’s health changes things for the worse. Read the book/watch the movie to find out what happens! Dislikes: They took out scenes! And changed the famous egg line. WHY??? Have you seen TFIOS? What did you think? Tell me in the comments below.